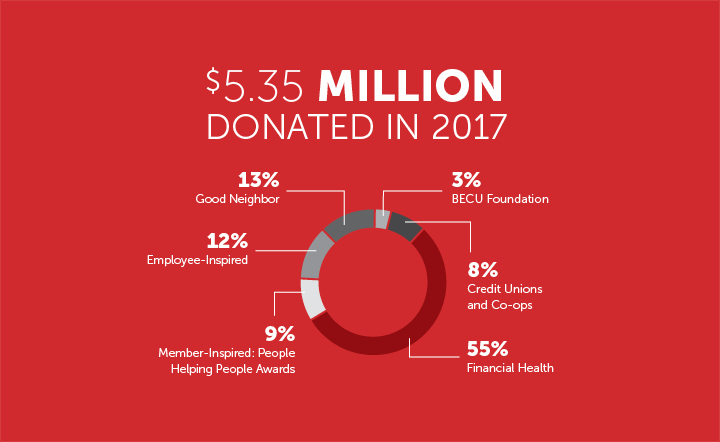 Last year, BECU membership exceeded 1 million people and funded over $5 million in donations to local charities. 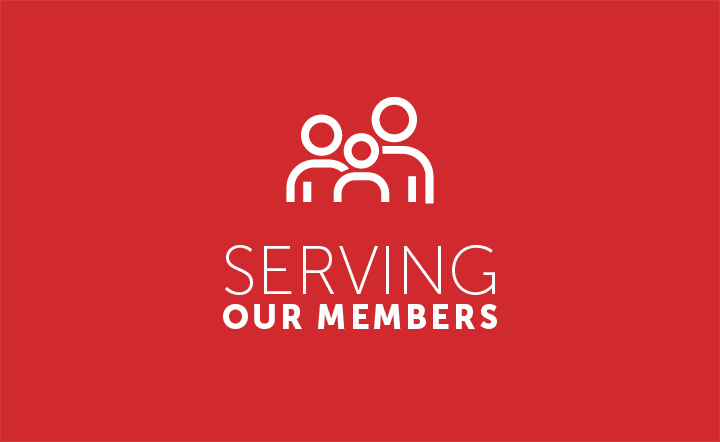 Thanks to your membership, we've built a solid foundation for all members to stand on, and bolstered the communities we live in. Here are some of our accomplishments from last year, by the numbers. Compared to most big banks, we strive to charge a fewer number of fees or fees with minimal impact to members. That savings is returned back to you in the form of better rates on loan products, better rates on savings products, and fewer fees on banking transactions. 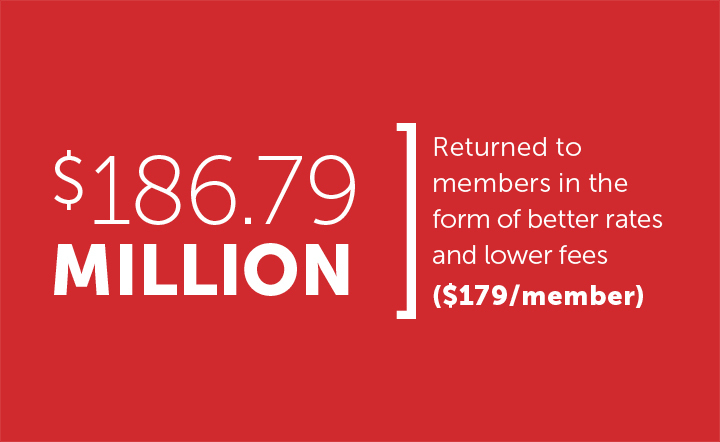 In 2017, we were able to return over $186 million back to you - an average of $179 per member. BECU donated 55% to financial health incentives for members. Another 9% accounted for payouts to the winners of the People Helping People Awards, our annual way of giving back to the local nonprofits that make a difference in the lives of those living in your community. 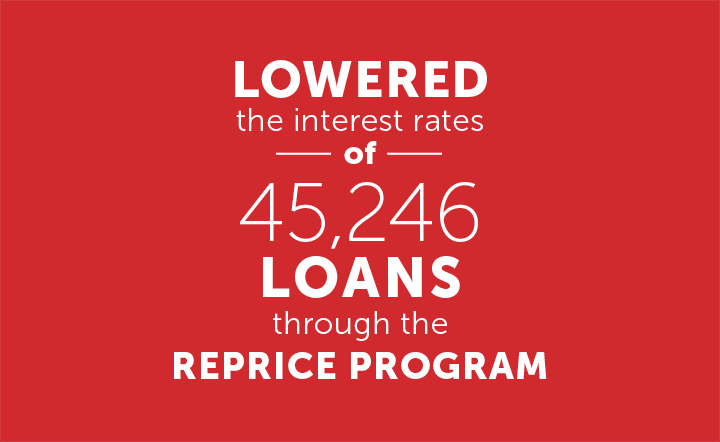 Every year, we evaluate members' financial standing through our annual reprice program. If the membe'rs credit score has improved, they could be eligible for a lower interest rate on their loan or credit card. Why do we do this? Simple: because it's the right thing to do. The BECU Foundation is a private, charitable organization that awards scholarships each year to qualified student members. Each awarded scholarship is worth up to $5,000. We award a minimum of 25 scholarships per year. Interested in applying? Take a look at the criteria. Besides the low rates and lack of fees, one of the best things about being a BECU member is the free services. Our Financial Health Check is a 30- to 45-minute phone call with a specialist who reviews your financial situation and offers actionable solutions to help you save money for emergency funds, set goals, get out of debt, and more. Over 1,300 members participated in this last year. 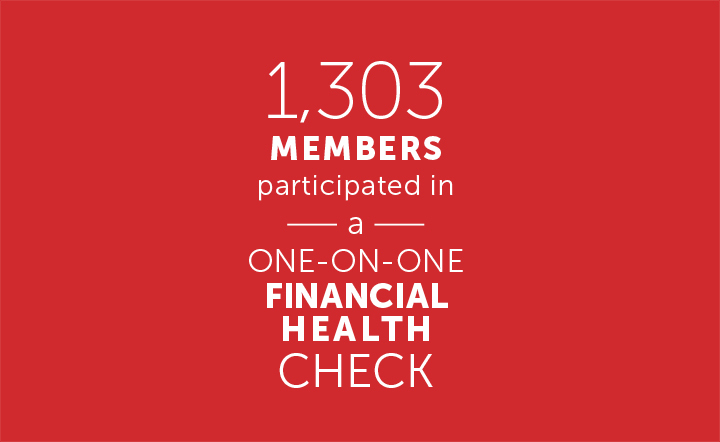 See how the Financial Health Check helped one member.